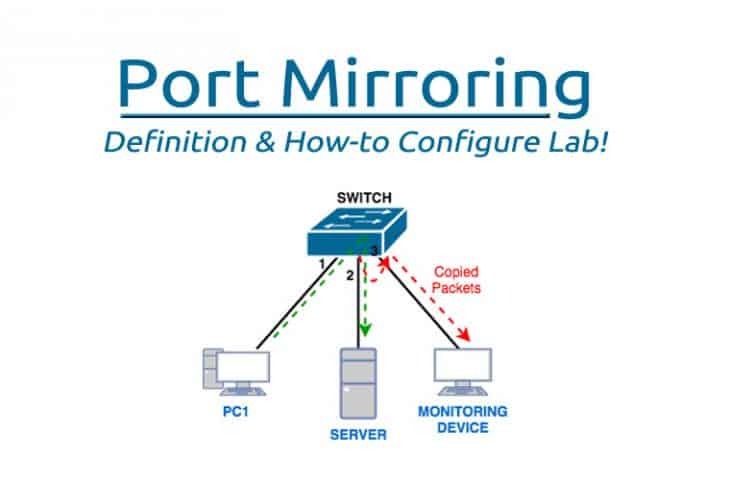 Port Mirroring – A Definition & How It Works (Tutorial) & LAB! One of the most useful techniques available to network engineers is Packet Capturing, but in order to do this, We'll need to dig into How to do it using a popular Technique called Port Mirroring. By looking into the packets as they are sent across a network, a couple of interesting things become possible including deep troubleshooting of network issues, security monitoring and investigation, and also the ability to learn about various technologies. However, Packet Capturing can be challenging on a switched network and we will discuss why in this article. We will then consider a way to make packets meant for one segment of a network to “appear” on another part of the network, aiding in effective capturing of packets. 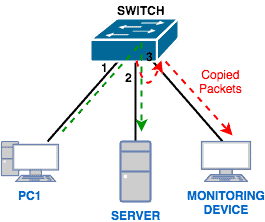 If you have been in the networking industry even for a bit, then you have probably heard of the difference(s) between a hub and a switch. Relevant to our discussion is the fact that when a hub receives a packet, it forwards that packet to all ports on that hub (except the port on which the packet was received), whether that packet is destined to the devices connected to those ports or not. 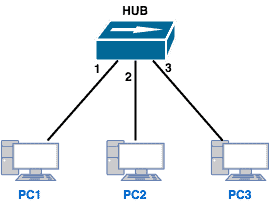 For example, if PC1 wants to send a packet to PC2, the hub will forward that packet out both ports 2 and 3, even though PC3 has no business with that packet. Check its MAC address table for the MAC address of the destination. If the MAC address is found in the table, the switch will forward the packet out only on the interface associated with that MAC address in its table. If the MAC address is not in the table, the switch will flood the packet out all interfaces except the interface on which the packet was received. Assuming the packet is part of a ‘string’ of other packets, the switch will eventually learn the port on which the destination device is and start sending packets out only on that interface. To confirm this behavior of a switch, we can also do the same test we did in the case of the hub; however, we will change the hub to a switch. As you can see, the only packet received by PC3 was the ARP request sent by PC1 trying to resolve the IP address of PC2. Once the switch learned the port on which PC2 belongs, it did not forward packets destined to PC2 to its other ports. 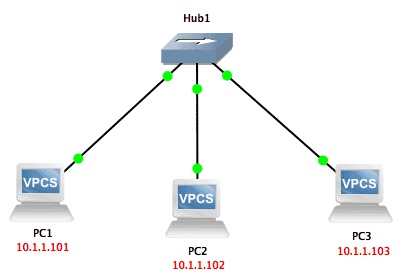 Why did we go through the trouble of explaining the difference between switches and hubs? Well, we did so because most networks today are switched networks which can be a challenge for packet capturing. 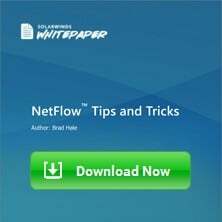 As we highlighted at the beginning of this article, there are several reasons why you will want to capture packets including troubleshooting network issues, investigating security incidents, and also for learning purposes. However, since switches do not flood packets out all ports, how will a device used for capturing packets receive packets that are destined to other devices on the network? This is where Port Mirroring comes into play. Basically, with Port Mirroring, packets sent/received on a port/VLAN are copied to another port. 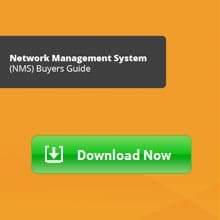 This feature is available on many switch models including Cisco, Juniper, Netgear, and so on. Also, it is known by different names apart from Port Mirroring depending on what vendor you are dealing with. For example, on Cisco switches, this feature is known as Switched Port Analyzer (SPAN). This is the port/VLAN that is being monitored. Traffic on ports/VLANs can be monitored ingress (coming in), egress (going out), or in both directions. This is the port to which the traffic from the source ports/VLANs are sent/copied to. In most cases, this is where you will connect a traffic analyzer like Wireshark. This is the combination of source ports/VLANs and destination ports. Each SPAN session can contain multiple source ports/VLANs and multiple destination ports (up to a certain maximum depending on hardware). In this case, all the source ports/VLANs and the destination ports are on the same switch (or switch stack). In the case of RSPAN, the monitored ports/VLANs and destination ports are distributed among several switches. A good example of when this is necessary is in a data center. 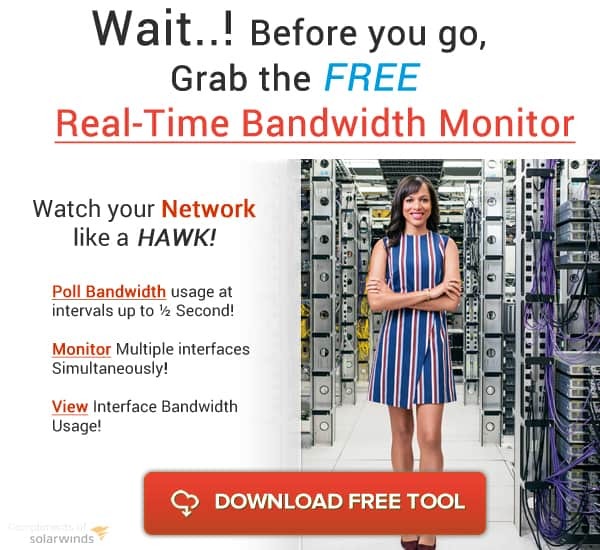 Imagine that you want to capture traffic from a server switch rack where all the ports on the switch are occupied meaning there is no free port to which to connect the traffic analyzer. What you can do is to configure RSPAN between that server switch and another switch that has free ports, and then connect your traffic analyzer to that switch with free ports. 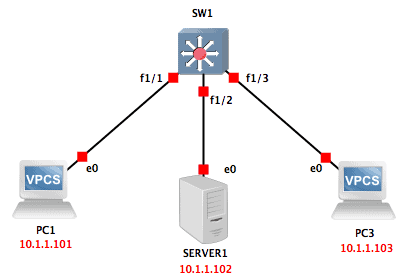 This is similar to RSPAN except that the mirroring goes beyond layer 2 to layer 3 – GRE is used to encapsulate the SPAN traffic between switches separated by a routing domain. There are various guidelines and restrictions for the source ports/VLANs and destination ports for the different SPAN types and you can read about them here. For example, a destination port cannot also be a source port. 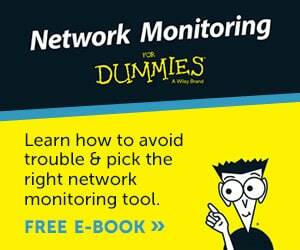 Also, in a particular SPAN session, you can either monitor ports or monitor VLANs; you can’t mix both. 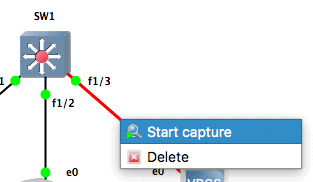 GNS3 does not support switching capabilities by default. 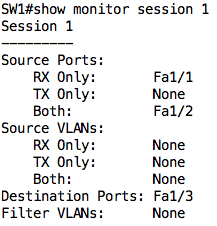 However, we can add a switch module (NM-16ESW) into a router to get some switching features. I also changed the symbol of the router to look like a multi-layer switch. Finally, I changed the symbol of one of the PCs to look like a server. In this lab, we will assume PC3 is the device we want to use for monitoring and we want to monitor all traffic going to/from the server. This means that our source port is Fa1/2 while our destination port is Fa1/3. The first command (no monitor session 1) removes any previous SPAN session 1. This is just to be on the safe side because if there is an existing SPAN session and you configure anything extra on that same session, it will not overwrite the existing session but update it. The second command configures Fa1/2 as a source port. Notice that the output does not show if its ingress (rx) or egress (tx). This is because the default is both directions. Finally, the last command configures Fa1/3 as a destination port. 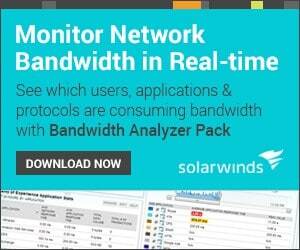 Let us enable packet capturing on the link between PC3 and the switch. 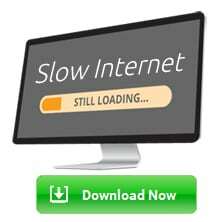 Ideally, in a real scenario, you will connect a computer running a traffic analyzer (such as Wireshark) and start capturing traffic off the interface connected to the destination port. For the interface to capture traffic destined to other devices, it must also operate in promiscuous mode. It works! We can also try a traceroute from PC1 to SERVER1. You can learn how to configure the other SPAN types here, although you will probably need to use real switching gear, as GNS3 or Packet Tracer may not work. While Port mirroring usually does not result in any performance impact on the Switch itself, one needs to be careful not to overload the destination port. For example, if you are monitoring traffic on several source ports and using only one destination port, the traffic going out that destination port may overwhelm the port resulting in dropped and lost packets. Another challenge that is indirectly related to Port Mirroring is where to store the packets being captured. If you are capturing packets off a mirrored port, especially in a large network, the data can grow large very quickly and you will need to factor in where to store that data. This brings us to the end of this article where we have seen how Port Mirroring can be useful in switched networks. We focused on Cisco’s implementation of Port Mirroring, Switched Port Analyzer (SPAN), and then looked at a lab of Local SPAN in GNS3.